The Green Deal is sponsored by the Department of Energy and Climate Change and is being dubbed the Government’s flagship environmental policy. It is offering home and business owners a way of saving money on energy bills by installing energy saving improvements. The price of having these improvements installed is then added to their energy bill which should be lower than before the measures were installed. How it works is a Green Deal Advisor will assess a property initially to identify if there is the potential for installing energy saving measures to the building. Certain aspects are taken into account when this assessment is being carried out and an Energy Performance Certificate is produced. The next step in the process is that the GDA will recommend to the customer the measures which are suitable for their particular property. The measures recommended will be made purely on the basis of the individual building and its needs, and could range from insulation, boiler replacement, lighting to Solar PV. The recommendations are then put into an individual report. Next the owner of the property will give the report to a Green Deal installer who will provide a quote to carry out the necessary work. The cost of this work is provided by a Green Deal loan which the customer then needs to arrange. The loan will pay for the agreed energy efficiency measures and the repayments to this loan should be less than the money saved on energy saving measures. This specification for the loan to be of less cost that the energy savings is one of the Government’s rules and is required to qualify for the funding. Repayments are then made through the regular electricity bill of the property. 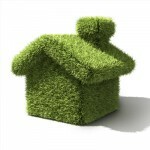 The final step in the process is to have a Green Deal registered installer carry out the work on the property. Once completed, another Energy Performance Certificate is issued through a third party. Customers having work carried out under this scheme will see benefits in energy savings as soon as the measures are installed which will benefit them from rising energy bill prices and also help with the Government’s commitment to reduce the UK’s carbon footprint. There is also a cashback fund for householders in England and Wales. The amount of this cashback will depend on what measures have been installed. For further information on how to get involved or to get some of the measures installed on your property, visit the Department for Energy and Climate Change website.